fashionable piety. They actually became vastly successful commercial undertakings from the pew and vault rents. They additionally were licensed for prayer and preaching but fell short of Holy Communion. Presently, the churches operate from offertories meaning that their continued existence is solely dependent on their congregations or on individual wealth benefactors. These chapels have become a rarity. The main issue is that of ownership. The Church of England is divided into parishes and nearly all of these are owned by the Church of England through the vicar. However single benefactors such as great landowners created proprietary churches when the main parish church was some miles away. This owner would finance the church and the clergy. Therefore these churches were free from the responsibilities of a parish. 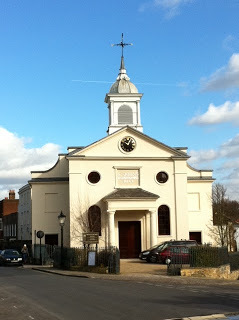 Many of these churches later became adopted as a parish church as with the population boom in Regency London, more churches were needed to meet the growing number of people. Proprietary churches were also sometimes used as a means by which to make money. 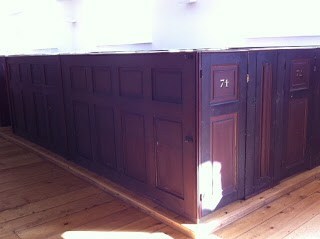 The owner would charge ‘pew rents’ to the gentry who used it and this would cover the costs. When the Church of England absolved them, it was often the locals who raised money to pay for a portion of the running costs. 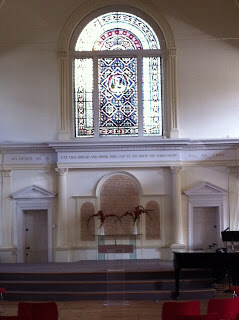 St John’s Church in Hampstead (Greater London) is arguably one of the last if not the last in London. This church founded in 1813 was established by a trio of landowners and is indicative of these privately funded churches. Once the building was completed in 1823, the church grew rapidly as a result of the population grow, the close association it held with a local school and the prevalence of overseas Christian missionary work. The building itself (listed Grade I) is quite striking with its Regency stuccoed, painted façade and a Doric porch framing the entrance on the outside whilst the inside boasts original examples of one of the few wooden box pews in England. In the present day as a proprietary church, St John’s retains financial independence but is recognised as being within the London Diocese of the Church of England. It can be deduced that these churches actually can only be self-supporting and fully operational in areas where the congregation can support it or rather individual benefactors are keen to maintain it. Arguably this unique type of church is quite a rare find in the present day.